Estimates suggest that industrial and commercial facilities generate over one billion tons of municipal solid waste each year. This fact alone highlights the importance of formulating and implementing sound waste management policies in these facilities. It is worth mentioning that industrial waste does not only comprise solid waste found in industrial waste bins. It also comprises industrial wastewater and other kinds of trade waste. Many business enterprises the world over are taking pride in calling themselves green. In the past, being in the green denoted a profitable business. However, over the past few decades, the word ‘green’ has taken on an entirely different connotation. As such, a green business today signifies a business that follows sustainable or environment-friendly practices. 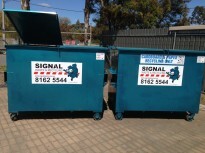 In Adelaide, many business establishments have a detailed waste management plan in place. This plan serves to divert waste from the landfill by recycling and reusing as much of the waste generated on site. This is one of many measures that companies and organisations typically adopt to become green. People typically dispose of items that hold no value for them in industrial or front lift bins. But, this does not mean that these items are worthless or useless. It is worth mentioning that these items might still have scope for reuse. 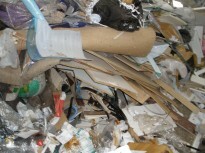 For instance, a large percentage of waste comprises paper, cardboard, green waste etc. Recycling such waste materials is certainly easier. Just How Important is Construction Waste Management in Contemporary Times? 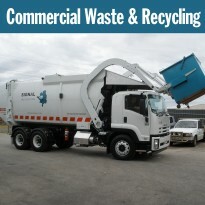 Commercial waste refers to the waste that commercial establishments typically produce. It is worth highlighting that the volume of waste that commercial facilities produce easily surpasses the volume of waste that residential facilities generate. In addition, the waste found in industrial waste bins is not as easy to break down as residential waste. This is why regulatory authorities require commercial facilities to treat, sort or filter their waste before releasing it into the environment. Many people might feel that all waste is identical. This is regardless of whether it comes from a residential property or a commercial facility. However, this is not the case. 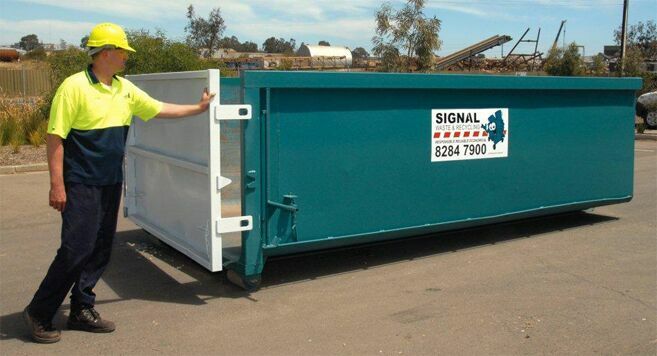 Rubbish removal companies offer comprehensive waste and recycling solutions. This is why they are able to deal with both kinds of waste in a more effective manner. Domestic waste refers to waste generated as a result of ordinary activities taking place in a residential property. Many waste bins that dot Adelaide and other cities in Australia will typically contain domestic waste. The property owners will usually deposit their waste at the nearest landfill or waste collection centre. 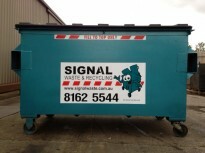 Or, they will engage professional rubbish removal companies for collecting this waste and disposing of it effectively. Business establishments typically provide a diverse range of goods and services. For manufacturing goods, these enterprises will have in place processes that convert the raw materials into finished goods. Naturally, this will result in the generation of different kinds of waste. Similarly, not all service providers offer services that generate little or no waste. For instant, restaurants and commercial eateries will generate both solid and liquid waste. Similarly, car wash agencies will generate a large amount of wastewater. Commercial establishments typically provide an array of products or services. In the manufacturing sector, these establishments generally utilise various raw materials and convert them into finished goods. The manufacturing or production processes will invariably result in producing some by-products that are not useful at all. 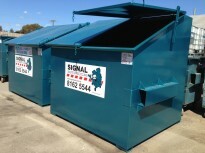 These by-products will invariably end up in different kinds of industrial bins such as front lift bins. In much the same way, when a business establishment provides some services, it will generate some waste as well. For instance, commercial restaurants will produce large volumes of wastewater in addition to other solid waste. 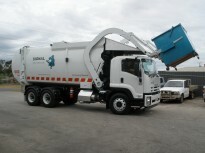 Similarly, a car washing service will produce different kinds of waste including liquid waste. Many people would be aware of the fact that water covers about 70 percent of the Earth’s surface. However, most of this water is saline. As such, it is not fit for human consumption. Only about three percent of this water is freshwater. Human beings and animals typically rely on freshwater to meet their various needs. But, this doesn’t mean that we can neglect the remaining 97 percent. After all, this water is the natural habitat of aquatic plants and fishes as well. These two facts are sufficient for understanding why treating industrial wastewater is an essential part of waste management practices in Adelaide and other cities. The term ‘plastic’ typically refers to a diverse range of synthetic or semi-synthetic organic compounds. Plastics are usually organic polymers that have a high molecular mass. But, they could contain various other substances as well. In many cases, people derive plastic from petrochemicals. Plastic is malleable. As such, it is very easy to mould it into various solid objects. Every manufacturing company will produce some waste courtesy its manufacturing processes. The kind of waste generated could vary from one business to another. For instance, some businesses could have large amounts of cardboard packages in their waste collection in Adelaide and other cities. Similarly, offices might have a massive collection of waste paper that they need to get rid of. Construction sites will have a large amount of rubble and debris that they need to remove from their sites as well. The impact of rising levels of waste has become much clearer over the past few decades. 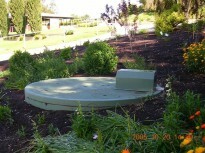 Untreated liquid waste often finds its way through the various layer of soil. As a result, it pollutes the soil. In addition, it often ends up contaminating potable water sources. 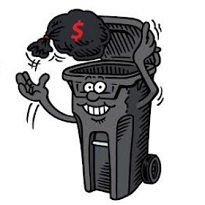 Similarly, solid waste will not simply disappear by wishing. If ignored, it could easily attract a variety of rodents and pests. As this waste ferments, it will lead to the proliferation of harmful microorganisms. The unseemly sight and the foul odours emanating from this waste will only aggravate things further. This is why many regulatory bodies require commercial establishments to treat the waste they generate. 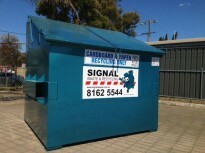 In the past, recycling used to be a fad for many people in Adelaide and other cities throughout Australia. This is not the case any longer. The rapidly dwindling natural resources, in conjunction with the increasing costs for raw materials and landfills, has forced people into reviewing their profligate ways. Many households across the country ensure that they recycle as much of their waste as possible. Similarly, commercial establishments also keep striving to minimise their waste as much as possible. In addition, many businesses are now exploring ways to reuse their waste as well. 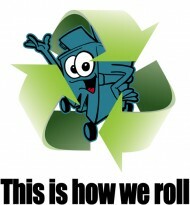 It is at once apparent that recycling is a small step towards conserving the environment. Business establishments will invariably generate large amounts of waste matter. Their manufacturing processes will invariably generate some useless by-products. In addition, they will generate the usual varieties of waste such as organic waste, paper, cardboard etc. Many of these solid waste items will eventually up in the industrial waste bins that dot Adelaide and other cities. 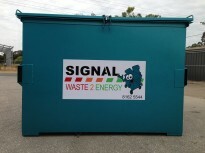 It is a given that any residential or commercial property will generate some amount of waste. When people purchase various groceries or household items, they will discard the external wrappings. Similarly, in industries and factories, waste will emerge once the production processes conclude. All this waste will eventually end up in an assortment of rubbish bins throughout Adelaide and other cities. Over the years, industrialisation has helped in making people’s lives more convenient. But, this has come about a significant cost as well. For instance, setting up factories and industries often necessitated the felling of trees for creating space. In addition, factories needed fossil fuels to function and relied on raw materials for producing finished goods. As factories and industries flourished, various natural resources such as coal, oil etc. began to deplete. But this wasn’t the only impact of industrialisation on the environment. Whenever you purchase any electronics, cooking appliances or toys, the chances are that these items will come in packages made of cardboard. 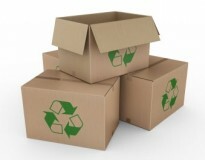 Along with plastic, cardboard is one of the materials that businesses the world over use for packaging their products. However, unlike plastic, cardboard is generally biodegradable. 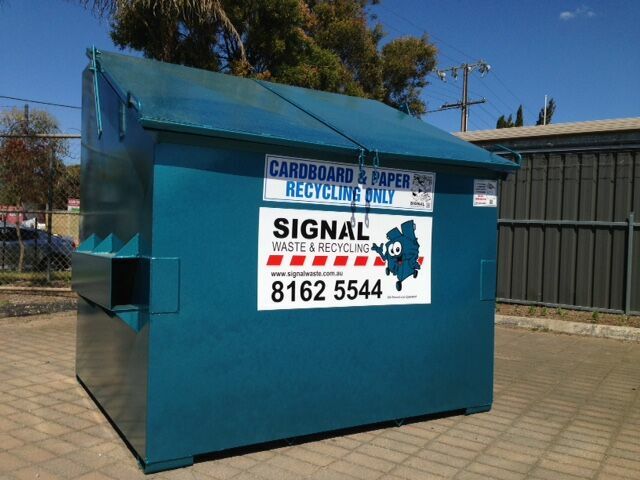 As such, you might think that recycling cardboard is considerably easier in Adelaide and other cities. But, it is worth mentioning here that not all types of cardboard are recyclable. For instance, cardboards that feature a wax coating or certain chemically-treated cardboards can be hard to recycle. An average household does not need to use grease traps. This is because the wastewater that emanates from the household usually does not contain significantly high volumes of fats and oils. But, the regulatory authorities have realised that commercial kitchens and similar establishments have wastewater that contains significantly high amounts of these substances. This is why restaurants and other eateries throughout South Australia need to use grease traps. These devices prevent fats and oils present in the wastewater from entering the municipal waste system i.e. sewers. 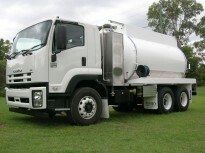 Ever since the 1960s, the use of Septic Tank Effluent Disposal Schemes (STEDS) has become widespread in many townships in South Australia. These systems typically comprise a pipe network laid in the road reserve. The outflow of various household septic tanks connects to this network via onsite plumbing and connection points.